Each tea leaf has a purpose. Some are mood lifters, others help you relax, whilst some work as aphrodisiacs. You just need to know what to select for any particular day.' 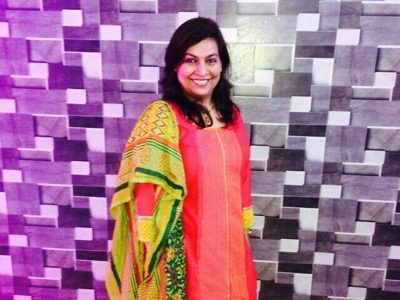 - Radhika, Founder of Radhikas Fine Teas and Whatnots. Radhika is a celebrated tea sommelier who first introduced the idea of fine teas in India and all things around it. 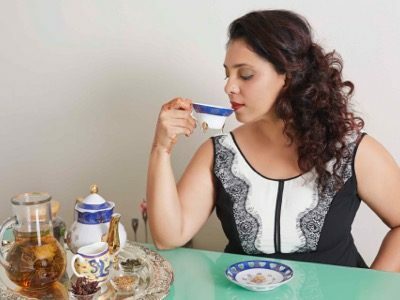 Right from the art of brewing fine teas to hosting customised tea ceremonies, Radhika's Fine Teas - a premium signature tea brand - has been tantalising many a palate in urban Indian households. From a marketing professional to an entrepreneur to a mom, Radhika's tea story is a fine blend of warmth and originality. Her travel tales across India in search of the finest tea leaves and her ingenuity in coming up with the most unique tea blends ensure that you get that perfect brew every time you make a cuppa. And if you follow her fine tea recommendations, you end up turning your otherwise ordinary day into a tealiciously fine day. Come, join her on this journey as she unfolds the magic of the finest of leaves in your tea cup. A journey where you will discover that tea isn't just black or green, but a beautiful infusion of good mood and good health paired with some perfect munchies. “Miles to Go before I Sleep” is a thought by Robert Frost that has been a life definer for me. A talent development professional with a decade of experience, I have been proud to have got a chance of training more than 10,000 individuals and help them achieve their true potential. Connecting with people and seeing a smile on their face is my passion and my driver. I firmly believe that life presents us with countless opportunities to learn, grow and spread knowledge and it is just the presepective that we choose to adopt during these trying times that makes all the difference. Blessed with multiple awards, I have been associated with various prestigious organisations. I currently work with EY as a Manager in Learning and Development. In my role and beyound, I aspire to be an instrument of empowerment for people and thus I support women and young girls from under priviledged background in their quest of gaining emotional and financial independence. I come with a very balanced experience in business functionality, technical, cross functional domain expertise, innovation and working with startup eco-systems. Apart from my corporate experience, I love working with start-ups - there is so much energy, new ideas, and learning. I also enjoy travelling, building networks and engaging with people, especially in the start-up community. I am on an advisory board of women's web and mentor couple startups. I am also a wellness enthusiast. By passion, I am a wellness consultant and a registered yoga teacher, a marathon runner, MS biker - the largest cycling series in North America. I am passionate about Table Tennis since childhood. I come from a town which did not have adequate facilities that could help me live my dream of being a National Level Table Tennis Player. I travelled 20kms on a daily basis to reach the only academy in the town and my parents have sacrificed their sleep to get me there at 4am. Seeing my love for the game, they encouraged by taking me to the nearest city for some good coaching that could take me a little far. I remember those days where my mom used to gather school notes from my friends and fill up my books so that I could spend additional time on my TT practice. My passion for the game and the encouragement from my parents and School has taken me so far that in the very first year of my TT career, I have achieved 8 State Titles and the momentum continued for 4 long years (2002-2005). As a 4 time National qualifier in a row, I have made my family, School and State proud of my achievements which is a bigger medal than anything else. I pursued Chartered Accountancy and started working with Barclays since 2013. My eternal love for TT has made me participate in the internal TT tournaments and the fact that I won against better players in these tournaments has given me further hopes. Seeing my impressive game, I was requested to represent my Company in the biggest Inter-Corporate tournament which has seen a participation of 60 companies in the State and I managed to bag a Silver medal there. I kept the momentum going and bagged a gold medal in the National Level Community Tournament held at Pondicherry. My manager and my mentors in my organization have played a pivotal role in keeping my passion for the game going by encouraging me to take part in these tournaments. Today am known for my game and considered a champ in my own small world. I dedicate this success to my parents, relatives, friends, School management and my company without whose encouragement, living my dream couldn’t have been possible. I am a Young AVP at Barclays and have received appreciation notes & awards signed by the BSS CEO and Regional leads for revamping a process, implementing controls awareness campaign in Chennai BSS, organizing knowledge sharing sessions, hosting town halls and various events. Being a firm believer of “Giving it back to the society”, with the help of my parents, I have actively participated and organized several free Ayurvedic camps over 5 years in my hometown to spread the message of Ayurveda to the humanity. I have volunteered for ‘India Turns Pink’ and ran marathons to create the awareness of breast cancer among women. At present, sponsoring the education of a couple of underprivileged kids in my hometown. Being a resident of a drought prone town, my current research is on how to attract rain by natural means and I am close to arriving at a solution to this based on the books written by ancient maharishis. By God’s grace, I have achieved all this at the age of 25 and plan to do much more in the years to come. I am a dermatologist and internationally trained laser surgeon. I was awarded a fellowship in dermatosurgery and lasers by the International Society of Dermatology at Tehran, Iran; a European Mentorship Award at the Centre of Excellence for Allergies Munich, Germany; and awarded Lasers & Cutaneous Medicine Fellowship at Kasemrad Hospital, Bangkok. I have given lectures in various countries like Holland, Munich, Bangkok, Monaco, and Tehran and various cities like Shrinagar, Calcutta, Chennai, Manglore, Pondicherry, Goa, Shimla and Delhi in the field of Cosmetic Science, Dermatology, avoidance of quackery; and Public Interest forums like those at India International Centre, Book Club of Delhi Gymkhana Club, India Islamic Cultural Centre and India Habitat Centre on Anti Ageing and myths in Cosmetic treatments. I am also running a trust by the name of Anjandeep which helps in poor women in society through empowerment. Besides that I have been lucky to touch the lives of a few kerosene burn victims. I have with God's grace achieved all this at the age of 32 and believe I truly have miles and miles to go before I sleep. I am currently occupied with a study on stem cell science and its role in ageing. 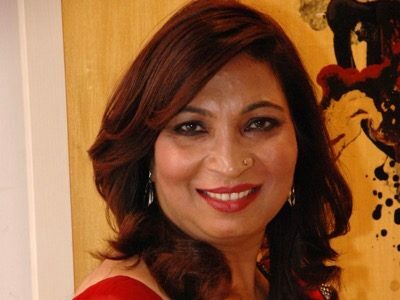 Sumita Dass, founder of the Life of Vision Foundation, is an educationist and mentor in a multicultural setting in UK and India. For the past 20 years, she has led a Professional Development Program for Leaders in planning developing welfare programs, campaigns for Sheffield Council for Children & Young People's Inclusion. I'm a 29-year-old chartered accountant by profession. I started my career as an intern with EY in April 2007 and over a period of nine years (including three years of internship) with great dedication, discipline and smart work with an unmatchable interest in doing things in a new way, I have managed to make my name in an esteemed firm like EY wherein my seniors and clients trust me and my work and find me to be a leader in a few years from now. My team looks upon to me as their role model and it gives me immense pleasure when people come upto me with a request to get a chance to work with me. I have been given a five rating (significantly exceeded expectations) for seven years out of nine for my performance and have been awarded an "Excellerator award for individual and team excellence" thrice. Apart from work, I'm a trained Bharatnatyam dancer and also enjoy sketching, painting and travelling. I'm extremely keen in serving the community later in life for which I try to give my little time now by teaching slum kids. At this age, I believe in building an educated self-sufficient society and try my best at every stage to develop people, shape their careers and make them an independent cause. Being independent is the greatest asset an individual can possess. 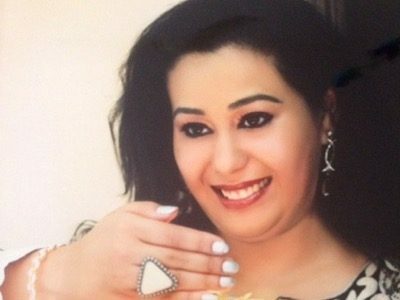 Nischala is a new-age marketer, and is responsible for global marketing and thought leadership initiatives in a global information technology, consulting and outsourcing company. Her work revolves around business strategy, Go-To-Market initiatives, global branding, creative "no money marketing" campaigns, end-to-end content programs, partner collaborations and events. She thrives in work environments which compel her to use the left and right side of her brain, and which also involve a blend of logic, creativity and making a global impact. Beyond work, she is a thinker, dreamer, mentor and ideapreneur and all her ideas find a creative outlet in her words. 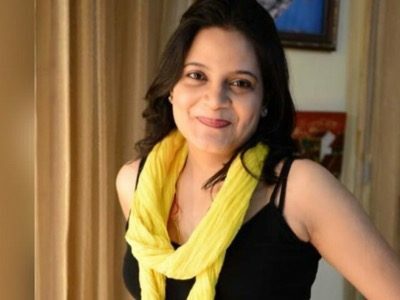 She is a writer / blogger, and publishes regularly on her own blogs and in media publications of global repute like Huffingtonpost, Economic Times and YourStoryCo. 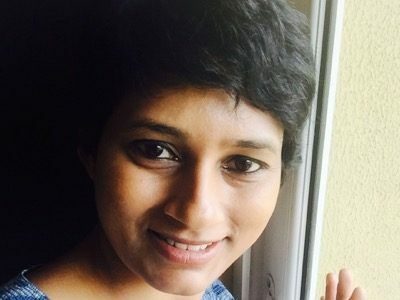 An IIM-B alumnus, her claim to fame is being featured among many Best-of blogging lists, Twitterati and in the print media; and most recently she gave her very first TED(x) talk. She is also a mom and that keeps her balanced, grounded and rooted to reality. She is a strong advocate of #WomenAtWork and never misses any opportunity to write or speak on the topic to help move the dot forward on empowering women to pursue active careers. 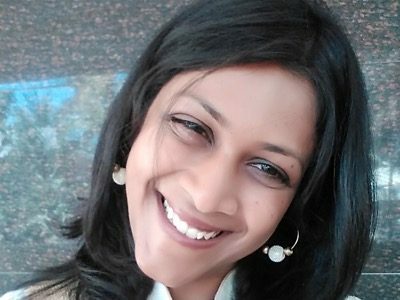 Sakshi Nanavati, with a Master's in Economics from the prestigious SNDT University, is surfing the high tides of her career in The Royal Bank of Scotland Business Services. In her five year rich career in RBS, Sakshi has moved up the ladder assuming three distinct roles. Starting her career with the Managing Director's office to now being a Manager in the Transformation team, leading the customer and people agenda; she has attained success in each of her roles. Beyond the business deliverables, Sakshi has been in the forefront of Employee Engagement programmes, like establishing the Community Investment framework and driving the diversity and inclusion priorities for the organization. 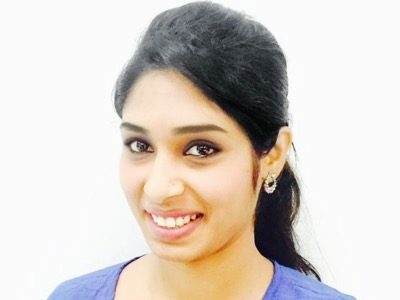 Sakshi is a Bachelor of Economics from Mithibai College of Arts and also holds a Post Graduate Diploma in Management from Welingkars Institute of Management Development. 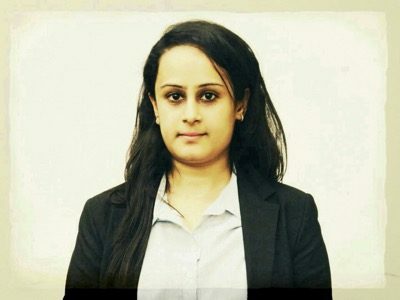 In addition to the numerous achievements in RBS, which include being exceptionally selected for the Future Leaders Programme and chosen from amongst 6,000 employees for the Management Associate Programme, she has been, for over a decade, a key contributor to the Rotaract District Organisation - a youth wing of the Rotary International. A holder of the coveted Chancellor's Gold Medal, Sakshi nurtures her aspiration of accomplishing her PhD and later contributing in the space of academics.